I believe that the atheistic worldview has no moral foundation upon which to make distinctions between right and wrong. The only way atheists can make a moral judgment is if they borrow from the Christian worldview, which adheres to moral absolutes. Still, for the purpose of this post, let's assume that it's possible for atheists to remain consistent in their worldview. Atheists rely on a naturalistic, pragmatic morality that considers "right" to be that which is beneficial for humanity as a whole. Likewise, that which is detrimental to humanity is deemed "wrong". For example, an atheist may judge murder to be wrong on the basis that if everyone ran around killing each other, the human race would become extinct. The atheist can comfortably conclude, then, that it is good not to murder his fellow human being. So what about the issue of homosexuality? 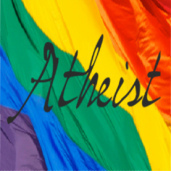 Why do so many atheists seem to be such strong supporters of gay rights? I would think that the atheist, even from a naturalistic perspective, has no choice but to conclude that homosexuality is morally wrong. The reason is simple: If everyone were gay, procreation would cease, thereby dooming the human race to extinction. I've often thought the same thing, but I suspect it's because homosexuals are statistically over represented in the atheist church. Atheists bases their ethics on philosophical principles rather than religious ones. They could their for instance cues from the philosophies espoused by Socrates or Immanuel Kant. Many people come to atheism through challenging traditions and previous ways of thought such as religion. It's not a huge leap to also challenge the way of thought that homosexuality is wrong. These people will likely lead a horrible quality of life if they face societal and institution discrimination. If quality of life matters by at least some degree, compassion for these individuals suggests that homosexuality should be accepted and not discriminated against. The human race is not going to disappear because a small minority of the population are in homosexual relationships. Ridiculous reasoning based solely on the premise that homosexuality, though naturally occurring, will never be seen in the entire population, just as red hair or lefthandedness will not. Being gay is no more morally wrong than being of below average height or having green eyes--both of which are under-represented in the population. This is really, really bad reasoning. As the previous comment alluded to, not everyone is born gay. I hesitate to ask this question to people who seem to go out on a limb to argue against anything gay because I suspect that many of those people are closet homosexuals themselves. But assuming that you are a heterosexual man, do you remember when you chose to be heterosexual? My guess is that you don't because you never made the choice. Not only that, buy you would not be able to be persuaded to "become" homosexual because you are who you are and you like what you like. You can change your sexuality as easily as you could change your eye-color. Homosexuality seems unnatural to you because it is. But to a homosexual, it is natural to him to form loving and intimate relationships with others fo the same gender. Not only that, but we see it over and over and over in God's creation - it has been DOCUMENTED in hundreds of species of animals so it does not go against nature, it is only a small segment of nature. Heterosexuals are in no danger. They will always be procreating. Finally, gay people are not asking for "gay rights" or "special rights" - just equal rights. Spending all of your time and money to prevent people who want to be in a comitted, loving and monogamous lifetime bond is not what the Bible says is "true religion" (which is, in fact, visiting widows and orphans in their time of affliction). Perhaps we should start thinking about ways to love others as much as we love ourselves instead of treating them with disdain and hate. I am a rare free-thinking atheist. I find homosexuality between men disgusting. This is not based on principle; I am innately repulsed by the idea. Everyone brave enough to speak out against homosexuality is also innately repulsed by it, yet virtually all of them will hide behind religious dogma rather than just admit they find it disgusting and don't want it to be celebrated in public nor do they want their children groomed for homosexual abuse by the public school system. I wish more people who find homosexuality disgusting just come out and admit it rather than hiding behind religion. Be authentic, people! On the issue of homosexuality between women: I don't innately find it disgusting because I'm not a woman. But I think it should be kept underground and away from our children. I would like to call BS on the notion that atheists have no moral compass. Religious dogma tells you what to do and not to do and sets out supernatural rewards and punishments accordingly. As a result, members of these religions don't learn to do the right thing by their fellow human simply because it is the right thing to do. 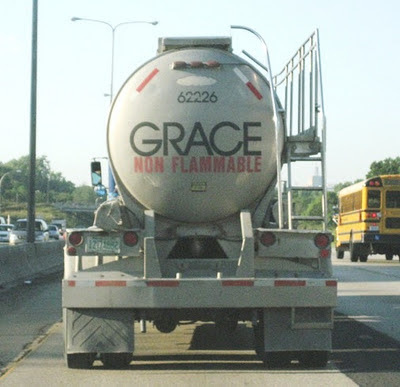 They're too concerned with getting their ticket to heaven and avoiding hell. I contend, therefore, that children with a religious upbringing tend to be morally underdeveloped as they hit adulthood. Well, if everyone were gay and procreation ceased to exist and we all died out, that would be the people of that time's choice. Who am I to tell them that they are wrong? Of course, your situation would never happen, because the largest estimate of what percentage of the population is bisexual or or gay that I have ever seen is 40%. That's probably about twice as much as it actually is. Probably about 8% of the population is gay and another 8-12% can go both ways, while more than 80% is straight. Now to address your other anti-atheistic comments. Atheists draw their morals from the same place you do. You can claim this isn't true, because you have the Bible, but you don't follow the moral law in the Bible. For one God's pretty clear on not considering young children alive as you don't count anyone under a month as a person. Secondly it gives the death penalty for all sorts of crimes that I'm sure you'd be against (like working on the Sabbath or eating shellfish etc..). So how do you know that these things are wrong if the Bible says they are right? Well that's easy you have your own sense of morality. As does every other human on the planet. Humans have very diverse morals and while yours and mine are probably almost exactly the same, there are places in the world where genocide isn't considered wrong. Atheism is not a church as the first comment said. Atheism is as much a religion as not collecting stamps is a hobby. Im atheist, and I do not like homosexuality. I find the idea disgusting, a disgrace to humanity and our ancestors who have made sure the human race continues. No i dont hate gay people, I hate their lifestyle. We are here today enjoy this precious life because our ancestors have slept with women not men. And as someone said above a lot of people find it wrong, repulsive but have to say they are ok with it because you cant voice your opinion about this anymore. It s like we are obligated to like it. I dont go around saying mean things or descrimating gay people however I would never allow my son to be one, and if he is it ll be far, far away from me. Sorry if its seems harsh but its the truth just like some people accept it i dont and i think i have the right to say it. I came here to find out the position Calvinists hold towards homosexuality as Calvin College is hosting the band fun. who, as a band, has been very outspoken about gay rights. Instead, I find this flawed logic, which is even worse than the previous. Disappointing site. Your logic is both unsound, flawed and limited in it's applicable scope. Thanks, Anonymous (11/13/12 5:56 PM). Could you be just a tad more specific about what was so disappointing, unsound, flawed, and limited?